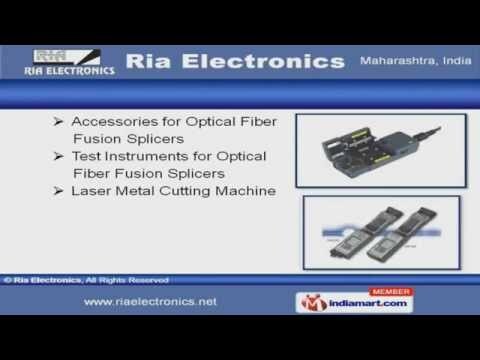 Welcome to Ria Electronics, Supplier of Cutting Plotters, Laser Cutting & Engraving Machines. The company was established in 2008 at Mumbai, with the brand name Graphtec, Redsail, LTT & Fujikura. Our market base is spread across Indian Subcontinent. Superior quality, on time delivery, competitive prices & customized solutions are some of the key features of our organization. We are engaged in offering wide array of Flatbed & Heavy Duty Flatbed Cutting Plotters. Our organization provides a qualitative range of Laser Cutting & Engraving Machines. We offer an exclusive array of Accessories for Optical Fiber Fusion Splicers. Our Plasma Cutting & Stone Processing Machines are available at market leading prices. Along with that we offer Blade Bending Machines & AC / DC Power Supplies that are a class apart. Cutting Plotter Accessories are some of our best selling products.